Blackhawk also offer a range of guttering services via our sister company Blackhawk Guttering Services Limited. 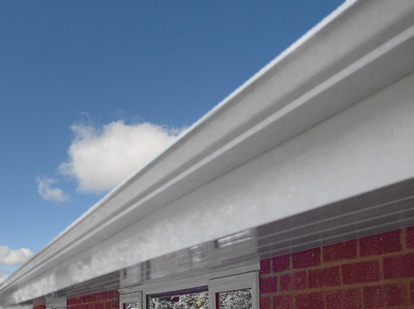 please also visit our dedicated guttering website. 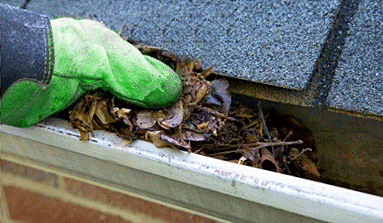 Our guttering service covers everything you are ever likely to need. We can clear leaves and debris from gutters, overhaul existing UPVC guttering systems or simply supply and install new UPVC guttering and downpipes in a choice of colours. We will not attempt to repair old aluminum or cast-iron guttering as it is always a false economy and never works well. We will also be able to make any small repairs/replacements to your guttering which larger companies would not be interested in. If you require a no obligation free written quotation or require one of our qualified fitters to view your property please email. We also offer annual maintenance contracts, this is usually an ideal for blocks of flats, offices, schools and nursing homes. We charge an annual fee then schedule a date for a big clean and overhaul, typically this is done once the leaves have fallen from the trees. Then we look after your guttering and down-pipes throughout the year. This means anytime a leak or blockage is spotted all you need do is give us a call or email and we come and fix the problem within two working days, with no need for quoting or any further invoices. Admin is kept to a minimum and problems get sorted fast.